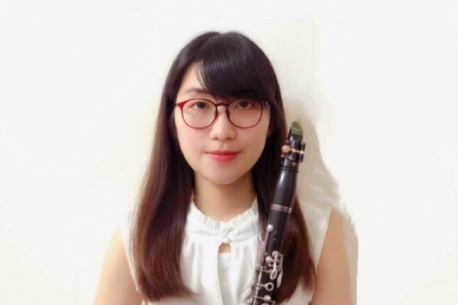 Kitty Chan is an enthusiastic clarinetist, has played in concerts in Hong Kong, Korea, China and New York, including solo recitals, chamber concerts and orchestral performances. After completed her Bachelor of Music at Hong Kong Baptist University in 2014, she moved to New York City, where she completed her Master Degree in Classical Performance at the Aaron Copland School of Music, Queens College. As an orchestral musician, Chan played in Queensboro Symphony Orchestra, Gustav Mahler Orchestra, Hong Kong Band Directors Wind Orchestra, Hong Kong Chamber Wind Philharmonia, Hong Kong Citywinds Ensemble, Hong Kong Youth Symphonic Orchestra and Hong Kong Youth Symphonic Band. She was featured as a soloist in the Queensboro Symphony Orchestra and Queens College Chamber Orchestra in 2017. Chan has appeared and performed in the Jeju International Band Festival, the Kitakaruizawa Music Festival and Xi’an International Summer Music Festival. Chan is a passionate educator, has over 8 years teaching experience. She has been teaching in group and private settings in many schools and music centers. Chan’s principal clarinet teachers include Charles Neidich, Ayako Oshima, Martin Choy and Chiu-yuan Chen. She has played in master classes held by great artists including Michel Arrignon, Florent Héau, Guy Yehuda, Nathan Williams and Daniel Silver.